One day last week I got a call from a friend at an out-of-town airport, who breathlessly announced that Mayor Rahm's big old mug was on every TV screen in the terminal, raging with righteous indignation to Wolf Blitzer over the latest travesty of justice in Chicago . . . Influential people making blatantly false statements. I'm like—OMG, Rahm finally had his Ralph Metcalfe moment of realization, where he awoke to discover that the mayor of Chicago was giving $1.3 billion in property taxes to a well-connected developer to build upscale housing in an already gentrifying ward. All in the name of eradicating blight in poor neighborhoods and building the tax base. Oh, wait, Rahm's the mayor making those blatantly fraudulent claims in regards to the infamous Lincoln Yards Deal. Never mind. By the way, youngsters—Ralph Metcalfe was the south side congressman who decided to break from the Machine and Mayor Richard J. Daley over the issue of police brutality. Now back to Rahm. For the last few days, the mayor's been venting his spleen with righteous rage at Cook County State's Attorney Kim Foxx for hastily, and without compelling reason, dropping charges against Jussie Smollett for allegedly making up claims of a hate crime. Mayor Rahm's not alone. I haven't seen so many people so righteously venting their spleen since O.J. walked. I have two thoughts about Smollettgate. On the one hand—yes, it reeks. If the allegations are true, Smollett wasted our time and money and police resources with his phony claims of getting mugged in the middle of the night by two MAGA lovers. The worst part is that the fallout undercuts Foxx's efforts to institute alternative punishments to prison time for nonviolent crimes, like the one Smollett allegedly committed. So, some poor schmuck, who has no connection to a well-connected political player, ultimately pays the price. Welcome to Chicago. On the other hand, it gives me another chance to play one of my favorite political parlor games: What's Rahm really up to? This game stems from Rahm's habit of saying one thing, when it's clear he's actually angling for something else. And then we try to figure out what he's really up to. I know what you're probably thinking—oh, Ben, you're just a typical cynical Chicago reporter. Yeah, well, let me remind you that the most famous saying of the mayor you elected (twice) is "never let a serious crisis go to waste." Which is pretty cynical in and of itself. Ultimately, I wouldn't care about Rahm's conniving if he was just, you know, some ordinary Joe in my Monday night bowling league. But as the mayor of Chicago, there are consequences for the games he plays. Like when he resisted releasing the video of Jason Van Dyke shooting Laquan McDonald because he said he wanted Cook County State's Attorney Anita Alvarez to finish her investigation. As opposed to trying to bury that story until everyone forgot it ever existed so we never, ever got around to dealing with the issue of police brutality. Or when Rahm closed 50 schools in black and Hispanic communities because he said he wanted to improve education for poor kids. As opposed to clearing out those communities in the hopes that a wealthier, more gentrified constituency would move in. C'mon folks, admit it—Chris Kennedy was right when he said Rahm's planning policies were intended to move poor people out of town. Or when he tearfully announced last September that he wasn't running for reelection because he wanted to move on to the next chapter of his life. As opposed to internal polls that probably showed him losing by double digits. So community activists would never think they had an impact on what goes down in this town. In the matter of his outrage over Smollett, we need a little context. Foxx was elected in 2016 thanks to a community uprising that occurred when Judge Valderrama ordered Rahm to release that tape. Activists took to the streets demanding that Rahm, police chief Garry McCarthy, and Alvarez pay a political price. And they have. Rahm fired McCarthy—throwing him under the bus to save his own skin (speaking of another great episode of what's Rahm really up to). 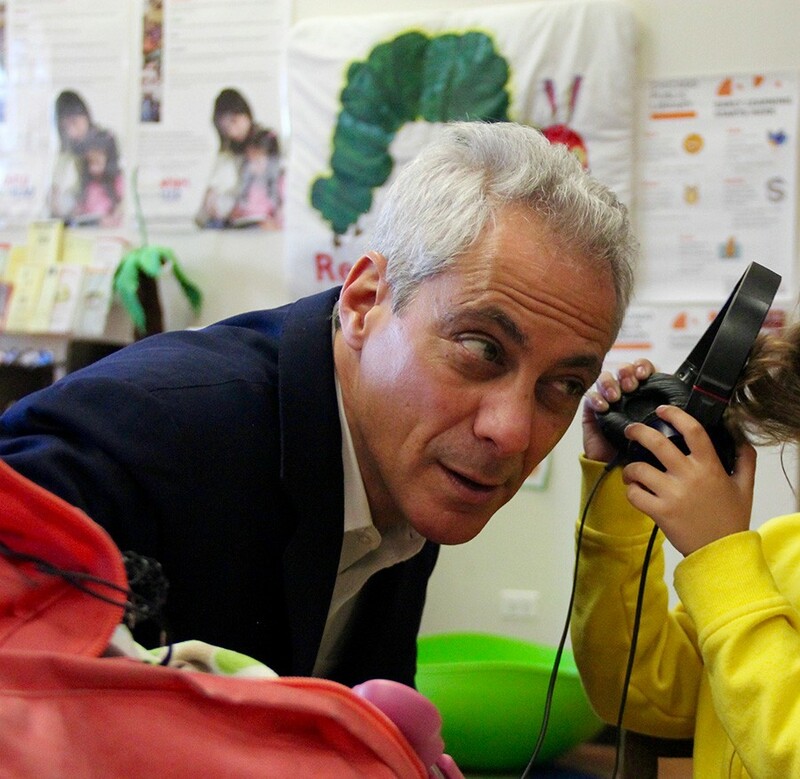 And eventually Rahm himself decided not to run for reelection to, as I said, forgo the embarrassment of losing. So, he's clearly enjoying using this "crisis" to make Foxx squirm. And he relishes any opportunity to get on national TV. And he likes distancing himself from the mess—like he's got nothing to do with it, even though Tchen's a family friend. (Funny, in his rage over Smollettgate Rahm manages to avoid blasting Tchen.) And he's trying to make himself look like, of all things, a criminal justice reformer. Which is almost as ridiculous as his efforts to portray himself as the savior of public education in Chicago, which survived despite his early efforts to farm it out to private charters. I'd say Rahm's the biggest phony in Smollettgate. But that role goes to President Trump, who's calling for a federal investigation into Foxx's handling of the matter. I don't think Trump should call for a federal investigation into anything until he releases the results of the federal investigation into himself—aka, the Mueller Report, which Attorney General William Barr says he'll release one of these days. Probably after he redacts all the incriminating parts. My old friend Ken Davis predicts a day will come when I will miss Mayor Rahm's reign. Is Rahm lying about the Laquan McDonald video? After Rahm Emanuel's interview with Politico, Chicagoans have to wonder whether the mayor's telling the truth about when he saw the video of the McDonald shooting. By doing the immoral and politically stupid thing instead, Emanuel is a bum.